Originally the estate of William Botsford Jarvis, Rosedale is one of Toronto oldest, and wealthiest neighbourhoods. Built among three ravines, Rosedale was originally separated by the Rosedale ravine - the older, south Rosedale, home to Branksome Hall, was developed as early as 1864 when the Jarvis family sold the land. It was then connected to north Rosedale, home to St. Andrews College (before it moved to Aurora) and the Rosedale Golf Club, when a bridge was built in 1909 across Park Drive Ravine. 1861 Rosedale garden party by William Botsford Jarvis - Rosedale Rd., w. side, between Avondale Rd. and Cluny Ave.
1870 Gate leading to The Dale - Dale Ave., s. side, w. of McKenzie Ave.; n. of Bloor St. E., w. of Castle Frank Rd. 1872 Collapsed wooden bridge on Park Rd., bridge over Rosedale Ravine, n. of Collier St.
1900 Edmund A. Meredith house, west side of Rosedale Rd. north of Pine Hill Rd. 1900 Backyard of John Hoskin's house - The Dale - with greenhouse? 1910 St. Andrew's College field day west side of Schofield Avenue, north of the Glen Road bridge, north Rosedale. 109 years ago - 1910 - Rosedale at 1145 Yonge Street n.e. corner at Shaftesbury Ave.
109 years ago - 1910 - Rosedale at 1238 Yonge Street south west corner of Walker Ave.
105 years ago - Saturday, November 21, 1914 - Rosedale at 1145 Yonge Street n.e. corner at Shaftesbury Ave.
103 years ago - Tuesday, August 29, 1916 - Rosedale at 1145 Yonge Street n.e. corner at Shaftesbury Ave.
99 years ago - 1920 - Rosedale at 1145 Yonge Street n.e. 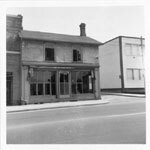 corner at Shaftesbury Ave.
74 years ago - 1945 - Rosedale at 1145 Yonge Street n.e. corner at Shaftesbury Ave.
1953 The Dale - John Hoskin's house - Dale Ave., s. side, w. of McKenzie Ave.; looking w.